﻿ Dr. Galandi - Our goal: a healthy mouth! Our goal: a healthy mouth! Damage to teeth or gums does not heal itself. Treatment is naturally simpler (and less expensive) when problems are diagnosed early. That's why you should have your teeth and gums examined by the dentist every six months. The most frequently occurring disorders affecting teeth and gums, cavities and periodontitis, are caused by bacteria in plaque. State-of-the-art dentistry focuses on this particular problem and encourages a program of prevention. By eliminating germs and eating nutritious foods, you can keep your teeth and gums healthy. 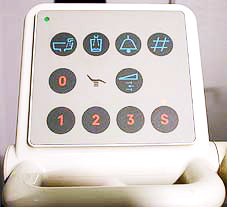 With your personal needs in mind, we work systematically to keep your teeth and gums healthy. If necessary, we will first restore your mouth to a healthy state and then, together with you, make sure that it remains healthy, functional and attractive. 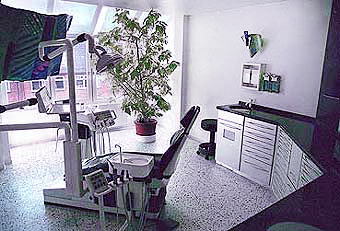 We know that most people do not like to go to the dentist, so we try to make it easier for you by offering the most pleasant setting possible for your treatment. Good communication with our patients is essential for effective dental care and treatment. If you like, we would be happy to speak English with you.